If you’re interested in best books for toddlers, you are in the right place. Each year on April 2nd we celebrate Children’s Books Day. Well, at least we should celebrate it. Reading is extremely important for young children. Falling on Hans Christian Andersen’s birthday, Children’s Book Day celebrates toddler books and encourages children (but also their parents) to read. In our house, we love to read, but sometimes I am not sure which books are suitable for toddlers and babies. I decided to ask other parents on Reddit to share their best books for toddlers. And Reddit community once again prove they are the best and shared with us 55 amazing toddler books..
Dragons love tacos. They love chicken tacos, beef tacos, great big tacos, and teeny tiny tacos. So if you want to lure a bunch of dragons to your party, you should definitely serve tacos. Buckets and buckets of tacos. Unfortunately, where there are tacos, there is also salsa. And if a dragon accidentally eats spicy salsa . . . oh, boy. You’re in red-hot trouble. The award-winning team behind Those Darn Squirrels! has created an unforgettable, laugh-until-salsa-comes-out-of-your-nose tale of new friends and the perfect snack. One of the best books for toddlers. These masterful mini-dramas will delight and amuse early-reader and picture-book audiences, alike. This is one of the best toddler books. 3. Agate: What Good Is a Moose? Perfect toddler book for reading aloud. onster Truck for Johnny (Ages 2-5) tells the story of how a father created a child sized monster truck for his son. This work contains 34 real life photos that tell the story of a little boy’s dream coming true. Along the way, children learn valuable lessons while reading about a real live monster truck. Volume 1 is targeted towards those who wish to read to younger audiences. Volume 2 A Monster Truck for Johnny (Ages 6-8) targets first time readers with more detail and information than Volume 1. In volume 3, Johnny’s Mini Monster Truck Tows a Train Ride, mini monster truck emerges to tow a train ride at birthday parties, fairs, and on location for children to enjoy. This book provides the Segway for a book tour with live appearances. A shy hippo makes a big impact in this Sandra Boynton classic and it’s one of the best books for toddlers. Karma Wilson’s playful text and Jane Chapman’s charming illustrations bring to life this celebration of family and friendship. Young readers will delight in discovering the special gift Bear has to share. This is one of our favorite toddler books. On a train ride in 1966, the title phrase Brown Bear, Brown Bear, What Do You See? popped into Bill Martin Jr.’s head. Later, he spotted an illustration of a red lobster in a magazine and contacted the creator, Eric Carle, to ask if he would illustrate his poem. So began Eric Carle’s career as a children’s book illustrator–along with a life-long collaborative friendship with Bill Martin Jr. Since then, Brown Bear and the three companion titles, Polar Bear, Panda Bear, and Baby Bear, have gone on to sell millions of copies worldwide. It has a great beat and repetion that encourage learning in younger children. It’s a great way to get children involved in reading and making it fun. This is a fun book to read and watch. The rhythm is easy for adults to say and children to hear. THE all-time classic picture toddlers book, from generation to generation, sold somewhere in the world every 30 seconds! Have you shared it with a child or grandchild in your life? Sheets of colorful stickers and musical notation round out this amazing collection. It’s the perfect addition to any child’s classic library. This is one of the best toddler books. For how is she to know that the slipper will land in the lap of the great Pharoah himself? And who would ever guess that the Pharoah has promised to find the slipper’s owner and make her queen of all Egypt? 14. Welcome to the Zoo! In this fanciful visit, Alison Jay summons her unique perspective and sense of humor to create a zoo like no other?where more than just the animals are on display. Children will delight in discovering small details and tracking narratives that play out bit by bit. Before the tour is over, kids will meet hippos, giraffes, penguins pursuing a platter of fish, exotic birds, bears, mischievous monkeys, and much more. There’s a search-and-find element too: The last spread invites readers to go back and discover a number of amusing details throughout this cool toddlers book. When Gossie says “Follow me!” little ones are happy to comply! Here is a boxed set of four best-selling board books about everyone’s favorite goslings. Olivier Dunrea is the creator of beautiful and well-loved children’s books. A painter and a sculptor, his work centers around farms, animals, architecture, and folklore. He lives in the tiny village of Narrowsburg, New York, in the Catskill Mountains. This is one of the best toddler books. THEODOR SEUSS GEISEL—aka Dr. Seuss—is one of the most beloved children’s book authors of all time. From The Cat in the Hat to Oh, the Places You’ll Go!, his iconic characters, stories, and art style have been a lasting influence on generations of children and adults. The #1 New York Times bestseller for kids. Pete the Cat feels blue until Toad shares his “Cool, Blue, Magic sunglasses” that make birds sing, skies brighten, and the sun shine. He rides his skateboard down the sidewalk and encounters animal friends along the way who are also feeling unhappy or grumpy. Also included in the book is an original letter from Norman Bridwell to the reader, information about the creation of Clifford–including an image of Norman’s 1962 painting that inspired the Clifford series, the story behind the real Emily Elizabeth, and more! Amid the hustle and bustle of the big city, the big crowds and bigger buildings, Little Elliot leads a quiet life. In spite of the challenges he faces, Elliot finds many wonderful things to enjoy–like cupcakes! And when his problems seem insurmountable, Elliot discovers something even sweeter–a friend. 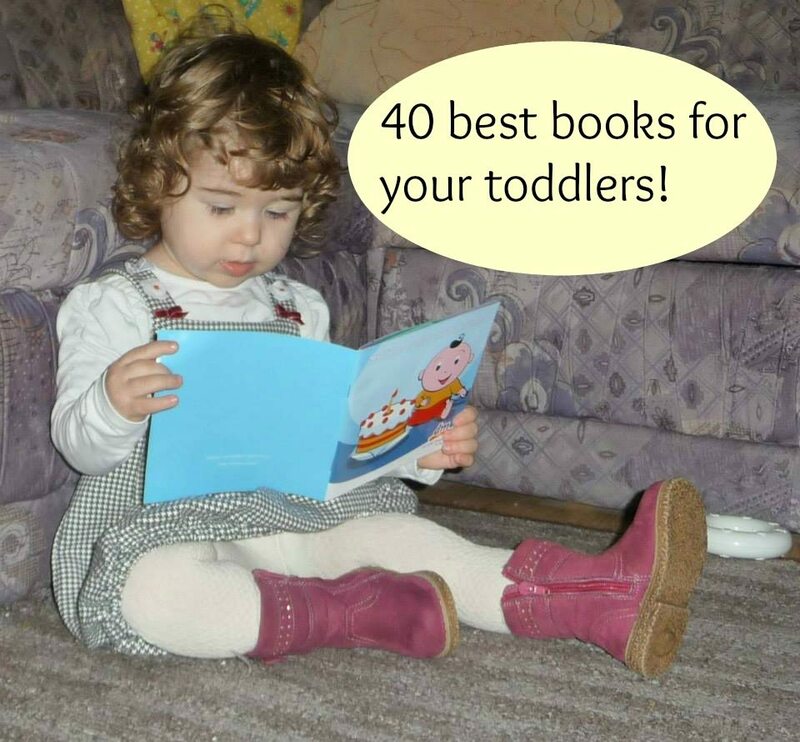 Best books for toddlers! Research has proven that children need to read aloud new material four times to achieve maximum benefit, and as many of those readings as possible should be accompanied by immediate feedback from an adult. As young readers become more fluent, they vastly improve their comprehension. To accomplish this, children need books that are captivating and inspire a positive reading experience. All books in this series include a refrain that provides students with the built-in opportunity to reread the same text. The rhythm, rhyme, repetition, and dialogue provide opportunities for students to use voice inflection and expression. The motivating content provides a fun, interactive reading experience that will inspire young readers to want to read and reread these books over and over. It’s almost bedtime! At 1 Hoppin Place the fun begins when a family of hamsters-with ten offspring wearing jerseys numbered from one to ten-arrives at the door. There are only ten minutes left, and there’s still so much to do! But with the help of the Hamsters’ 10-Minute Bedtime Tour (guided by his own pet hamster), the little boy is able to get his toys put away, his pajamas on, his teeth brushed, and his bedtime story read-all in the nick of time. This lively introduction to bedtime rituals and the concept of counting backwards will have young readers eagerly awaiting their own countdown to bedtime. A toddler and his teddy bear illustrate a young child’s happy side, sad side, silly side, mad side, and more! Babies and toddlers will feel loved all over when they hear this declaration of adoration and affection! The birth of a baby—”the one and only ever you”—causes jubilation throughout creation in this quietly celebratory picture book from newcomer Tillman. “There was one little baby / who was born far away. / And another who was born / on the very next day. / And both of these babies, / as everyone knows, / had ten little fingers / and ten little toes.” No matter which part of the world a baby comes from—born on the ice or in a tent—that baby has “ten little fingers / and ten little toes,” the pleasing refrain of this wonderful, rhyming tribute to the chubby, sweet universality of babies of all colors. Helen Oxenbury’s soft, rounded babies are captured perfectly in soft, rounded watercolors. When Doodle the alligator is feeling bitey, the backside of Tumpty the elephant looks very tempting. But now Tumpty is sore — in more ways than one — and promptly stamps on Doodle’s tail. No wonder everyone’s upset! Luckily, the friends agree to apologize, and all is well — at least until Doodle starts to feel bitey again. Louis and his sister find themselves deep inside the stomach of a Saber-toothed Yumper when a leisurely bike ride through the woods turns into a monstrous chase into prehistoric lands. After Louis is swallowed by a Gulper, Sarah sets off to rescue him, but each creature that consumes him is set upon by a larger one, and the chase is on. These prehistoric pranksters and the simple, playful rhymes that accompany them will delight children everywhere. Dinosaur Roar! is an entertaining way to introduce preschoolers to the concept of opposites. Ages 3-5. Dinosaurs are the gimmick here, not really the subject. The subjects are, first, antonyms–such as above/below and weak/strong–and then lunch. It’s time to celebrate Spot?s thirtieth birthday! For three decades children have been looking everywhere for Spot in this classic, first-ever lift-the-flap book. Is he in the piano? Is he under the stairs? After finding other familiar animals, there he is in his basket! The original “Spot” book is now offered with a Signed English translation. The text and illustrations are identical to the original, with the addition of line drawings showing the American Signed English hand move ments. Signing is simply and accurately illustrated. It is easy to distinguish the placement of the hands in each sign. Dotted lines show the beginning place ment of the hands, arrows point the direction to follow, and a solid black line indicates the final position of the hands. Oliver Jeffers offers a simple, childlike tale of reaching for the stars, and emerging with a friend. From the creators of A Gold Star for Zog and Stick Man, Tabby McTat is a touching story of friendship, loyalty, singing – and kittens! Nick Bland’s expressive, adorable illustrations complement delightful, rhyming, read-aloud text in this lesson about the importance of sharing with others in one of the best books for toddlers. The Little Mouse and the Big Hungry Bear are known and loved by millions of children around the world and it’s one of the best books for toddlers. Little Mouse loves strawberries, but so does the bear…How will Little Mouse stop the bear from eating his freshly picked, red, ripe strawberry. Gerald and Piggie are best friends – buy this amazing toddler book to find out more about their fun adventures. If you have some good books for toddlers you would like to add to the list of best books for toddlers, feel free to leave it in the comments. “It’s not so much about what book you look at, it is how you interact with the toddler. Toddlers don’t read but love looking at pictures, so books with lots of pictures are great. The thing to do is to ask questions – “Where’s the mouse?”, “What color is the house?”, “Shall we count the trees together?” etc. So you could use the Encyclopedia Britannica if you want, the book isn’t really that important as long as it’s got lots of nice pictures. Also do funny voices, kids love funny voices.” by James Johnson about Best books for toddlers. *And just for full disclosure, there are affiliate links in post ‘Best Books for toddlers’. This means that I’m sharing something that I think is helpful, and if you make a purchase through the link, I earn a little bit back. No extra cost to you, and just a little help for me to pay for the blog expenses. We have a few of these books, but I need to get the other ones on your list. I also pinned this. I’m so surprised we only have 1 on that list! Pinning so I can get the others! I am a volunteer reader with United Way and this is a great post!! I’m pinning and using as a reference. Thank you! I love this list of book suggestions. Thank you for sharing these books. I’m always on the hunt for some good books to read with the kids. I really like this list. I like to buy books instead of toys for birthday gifts and now I have a great list to choose from. Thanks for sharing on Small Victories Sunday link up. What a little cutie! Your never too young to learn. My granddaughter LOVES to read books….this will perfect for her. Great list! What an awesome list. It’s always great to have some recommended reading. Great reading list tip. Thanks! We have most of them! Yikes! Fantastic list! Can’t wait to add some of these to our collection! Great List! Reading is so important any more. With the world of technology taking over, it’s one of the very last things still available that helps develop reading skills and creativity. Thanks for Hosting at the Oh My Heartsie Girl Wordless Wednesday! I look forward to seeing you again next week! Some of our favourites here, a few I’ve got on my Amazon wish list, and some I need to add! Wow, thank you 🙂 I am happy you liked it! As a former teacher, there are sooooo many great ones to choose from. I struggled with our two year old turning multiple pages so quickly, we didn’t get to really enjoy the story. We’ve been creating our OWN “kindle” books using pics of our little one using Power Point. Adding simple page transition and some additional animations have kept focus a little better. Let’s just say….we’re reading the pages AND a little technology is being taught. We know which keys will turn the pages. We are avid readers in the house, too! We have quite a few books from this list, and they are just as described. What a great resource for new books! Thank you! Please c’mon Gruffalo and Gruffalo’s Child? My kids have been reading a new story that I would like to recommend (and hopefully it will make it on a future MUST read list). Their grandmother purchased it for them after hearing about it from a friend and it has quickly become a new favorite. It is called “Little Brown Animal” by DiMari Bailey (http://www.dimaribailey.com). This book is so lovingly written and beautifully illustrated. The lessons contained within are powerful and have the potential to last a lifetime. We need more books like this in circulation for our kids, it doesn’t feel like a cookie cutter copy but instead has its own powerful voice. Although “you are special, love yourself” is an age old theme, this book manages to make it fresh and teaches it to children in a unique and whimsical way. A must own for parents and kids. You have some of my favorite books on this list! Pinned! This is a great list. Reading to my kids is one of my most favorite things to do. The Bear Gives Thanks series, Llama/Llama series, the series from WeDoListen.org (the characters name is — Wigglebottom – cant think of the title series!!!) are probably our favorites. I cant wait to read #1!!! Thanks for a great post!